As a mom of five boys (ages 0-20), I’ve spent nearly two decades fighting tough stains in our laundry. Chocolate, baby food, grass, mud, poop, blood, ketchup, mustard – you name it, I’ve probably tried to get it out of someone’s clothes. So when Purex sent me a bottle of their new Purex® plus Clorox 2® detergent and challenged me to use it to tackle my family’s worst stains, I was pretty excited. This detergent “combines the bright clean of Purex® with an extra powerful boost of Clorox 2® stain fighters” – perfect! The really exciting part is that it contains three stain-fighting enzymes to remove 100 stains – starchy stains like chocolate and tomato sauce; protein-based stains like grass and blood; and food stains that use guar gum like ice cream and BBQ sauce. So instead of having to use different types of stain removers for different types of stains, this detergent works for all of ’em. AND it’s safe for colors! All I had to do was wait for someone to stain something – that should take all of about an hour! So I waited… and waited… and waited. And three DAYS later, I was still waiting for someone to stain SOMETHING. The one time I actually want to see some grass stains on the knees of someone’s khakis or spilled food rubbed into someone’s shirt or even, heaven forbid, a baby poopsplosion… but, nothing. Really, guys? The ONE time I actually want – and need! – you to stain up some clothes, you’re all going to be perfect little angels and keep your clothes neat and clean? Of course. One of the tips I got from Purex about this detergent stated “Pretreat tough stains by rubbing some Purex® plus Clorox 2® detergent into the fabric and letting it sit for 5 minutes before washing,” so that’s what I did. I let it sit while I retrieved my 10-year-old son from the school bus… and lo and behold, there were the stains I’d been waiting for! I’m not sure what these reddish stains on my kid’s brand new shirt are, but this was the first time he’d ever worn it (it just arrived in the mail the day before). When he first got off the bus and I saw the streaks of reddish-brown all over it, I thought it was blood, but then I couldn’t find an injury on him anywhere. At this point I’m assuming it was marker or paint or maybe food. (He’s autistic and minimally verbal so he can’t clear up the mystery for me). Anyway, I decided to try pretreating the mystery stains as well and then tossing everything in the washer together. I was a little nervous pretreating a brand new bright yellow shirt with this detergent – it says right on the bottle that it’s safe for colors, but I’m a paranoid sort. I decided to chance it though – and happily, the colors stayed put but the stains disappeared! I’m really impressed with how well Purex® plus Clorox 2® detergent cleaned our clothes and removed stains. I actually couldn’t tell where the stain had been for the “after” pictures of the towel – there wasn’t the slightest trace of that chocolate smear anywhere. And whatever the mystery stain was on my son’s yellow shirt, it took care of that no problem, but didn’t hurt the colors (not even in the spots where the detergent sat and soaked in for a few minutes while pre-treating the stains). And as a bonus, I love the scent – the bottle I received was the “Original Fresh” scent, and it smells great! Now I’m curious to try the Sunny Linen scent too. Three of my readers are going to get a chance to try Purex® plus Clorox 2® detergent! I have three coupons to send out to three lucky winners – each one is good for a Free Purex® Liquid or Powder detergent (up to $7.00; expiration date 12/31/2016). 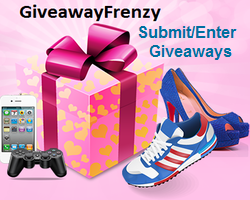 For your chance to win, enter on the Gleam widget below – good luck! DISCLOSURE: I received one or more of the items mentioned herein free for review purposes; nonetheless, all opinions expressed are my own unless noted otherwise. No purchase necessary. The number of eligible entries determines the odds of winning. Must be at least 18 years old to enter and reside in the United States. The winner will be chosen at random by Gleam (subject to verification) and will be contacted by email and announced here after the close of the contest. The winner will have 24 hours to respond, otherwise a new winner will be chosen. This giveaway is not associated with Facebook, Twitter, Pinterest, Linked In, or any other organization unless specifically stated. Void where prohibited. Giveaway ends June 15, 2016 (11:59pm EST). Blood and grease stains are the toughest for me. The toughest stain I had to get out was red wine out of a carpet! My toughest stain would be BBQ sauce on my boyfriends white chef coat. What a mess! It has been quite some time but the worst stain I ever tackled was blood stains. The toughest stain I’ve had to tackle was a grease stain that splashed back on me while I was cooking. Grease stains are toughest for me!